Northeast corner of the site from 11th Avenue. 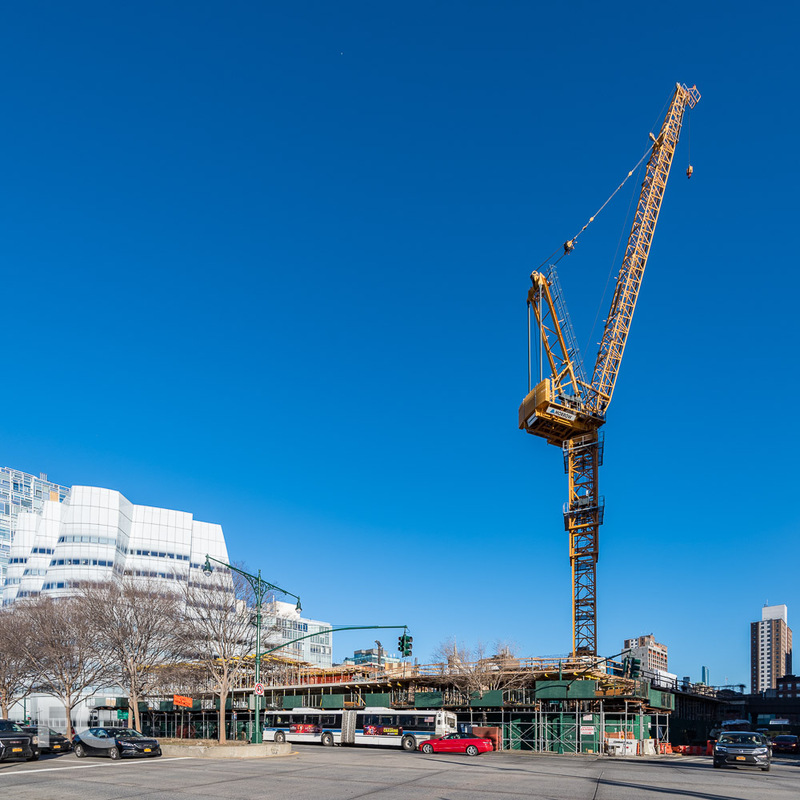 Superstructure is starting to rise at HFZ Capital Group's The Eleventh, a mixed use development at 76 11th Avenue. 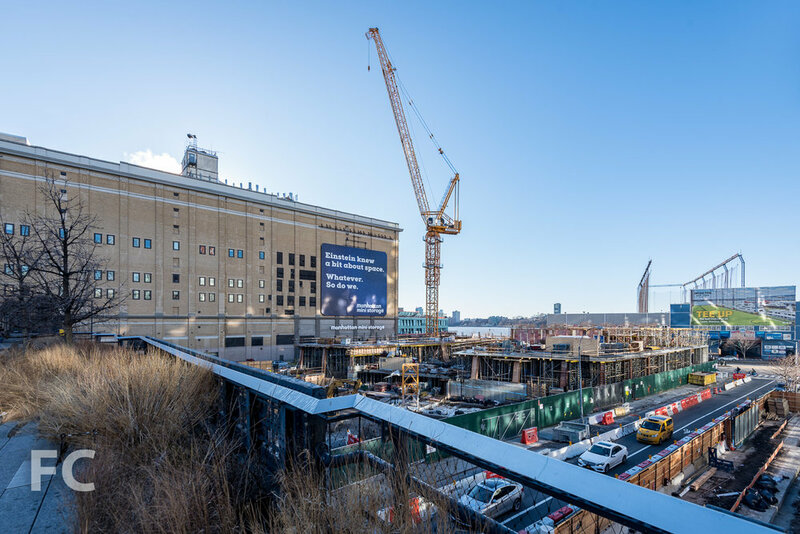 Designed by the Bjarke Ingels Group (BIG), the development consists of two twisting towers atop an 85 foot podium adjacent to the High Line. 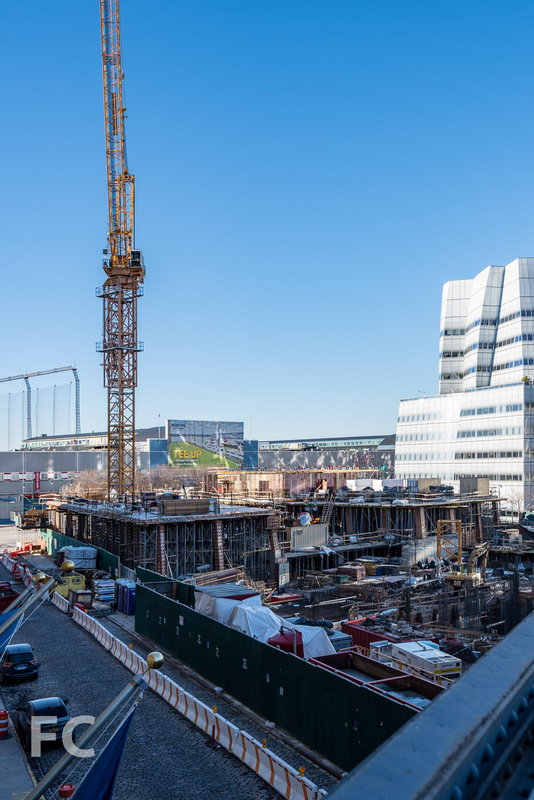 The west tower will rise 400 feet and consist of residential units and supporting amenities, while the east tower will rise 300 feet and consist of a mixture of residential units on the upper floors and a Six Senses hotel on the lower floors. Northwest corner of the site from 11th Avenue. Northeast corner of the site from the High Line. Southeast corner of the site from the High Line. Architect: BIG (Bjarke Ingels Group); Developer: HFZ Capital Group; Program: Residential; Location: Chelsea, New York, NY; Completion: 2019.